Yuji Okada, Chief Executive of Japan Airlines for Europe the Middle East and Africa talks to Roger Prentis about JAL�s business and the effects of changes in the world travel market, as well as environmental issues. 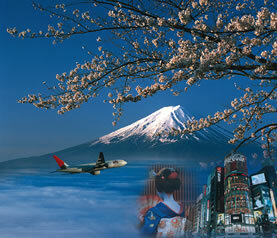 q: JAL, like many of the big airlines, has experienced some fluctuations in business over recent years. What are the main reasons for these fluctuations? a: There have been a number of issues. A succession of major events in the world has taken place over recent years which have affected JAL and, of course, the industry in general. I think there are six that I would highlight: the first is 9/11 and the second the war in Iraq. The third is particularly important to Japan Airlines in Asia and that is the SARS virus. Terrorism in Bali has also had a significant effect as it is a major destination for us in the leisure market. The Indonesian earthquake and tsunami have also had a detrimental effect, as did the anti-Japanese demonstrations in China back in 2005. It has taken longer for Japan to recover than it has other countries because Japanese people are highly influenced by such negative events. q: This must have affected your competitors as well? a: Yes, but we have more than three times the international traffic compared with our main Japanese competitor. In the local Japanese market we are more-or-less the same size, but adverse international events will affect us much more seriously. The other effect of being stronger internationally is the impact of rising fuel prices. Of course, international flights generally use much more fuel than domestic, so there is more impact on JAL. You can see this very clearly from the change in fuel costs as a proportion of overall revenue. In 2002, fuel accounted for some 15% of operating expenses, but in 2006 that has risen to 23%. Another issue that we overcame was a series of safety-related operational incidents back in 2005. These unfortunately dented our image in the eyes of the Japanese public and it has taken us time to regain lost ground and lost revenue as result. 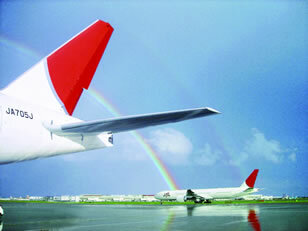 q: JAL is very popular, like most national airlines, with customers from your home market. Will this change in the future? a: Of course, all our passengers are very important to JAL. We are trying to attract more international customers by offering a good international route network. But we want to retain our Unique Selling Proposition, USP, which is considered to be a combination of our good hospitality, customer service and Japanese culture. In attracting more international customers we also want to retain our Japanese customers who are equally important to us. The proportion of our domestic / international business has changed recently with the merger between JAL and JAS. Before that, about 70% of our revenue was from international operations, but now it is more like a 50:50 split with domestic. This has enabled us to compete more strongly with our main competitor and it has allowed JAL to secure a more well-balanced revenue structure. 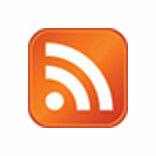 q: How is JAL approaching the future in terms of corporate development? a: We have established a special top-level committee to help improve our corporate culture. This is looking at improving communications within the business and encouraging staff to take more initiative. The organisational infrastructure itself is not changing, but communications are being developed to encourage both top-down and bottom-up so that important information flows freely. JAL has adopted a kaizen (continuous improvement) approach to business and we are also applying the Toyota production system (TPS) to help us improve our business in many ways. A culture of praise and commendation is developing within the business which is very important to help us promote and improve JAL�s customer service and hospitality. 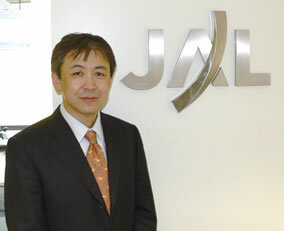 q: JAL has a mix of premium and lower-overhead subsidiaries in the group. How will the balance between the two change in coming years? a: As a company, we have to make a profit to satisfy our stakeholders. We are therefore increasing the low-overhead side of the market, but we are definitely not switching from a premium service to achieve this. The low-cost subsidiaries operate mainly on the leisure routes such as to Hawaii and South East Asia. Top quality service has always been the hallmark of JAL's reputation and we will continue to attract the premium class passengers as our main target. We pride ourselves for being at the leading edge when it comes to the products and services we offer both in the air and on the ground. The business routes, such as those between UK and Japan, remain critical to JAL and we are planning to continue to develop them in our mid-term plan. Demand for First and Business Class travel between Japan and other parts of the world has seen a sharp increase in recent years, boosted by the rapidly growing markets in the region. Between 2006 and 2010 we will be investing some 100 billion Yen in our development programme to further improve our service offering � and that excludes the cost of new aircraft. For example, we are developing Premium Economy Class � already in London, Paris and Frankfurt � and also new First and Business Class seats later this year. In addition, we are renovating our airport lounges � in Narita (Tokyo) for example the development is complete and our customers are giving us excellent feedback already. The renovation of other lounges is being planned � and Heathrow will be one. Many of our customers use our domestic routes to connect internationally so we have introduced First Class on domestic flights. This started between Tokyo and Osaka and is being enlarged to Fukuoka and it has proved to be extremely popular. 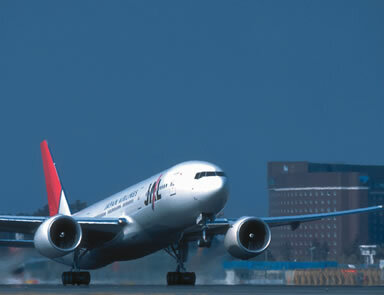 q: JAL has always had good occupancy rates, but do you see that changing in the future as competition develops further? a: Competition is always quite severe in the airline business. In the future, however, there are some good business opportunities. The construction of a new runway at Haneda airport and the enlargement of the capacity of Narita will give us a big chance. At the same time, we will be introducing new aircraft � particularly the Boeing 787 � that are mid-sized and offer long-haul capability. We will also be introducing newly-designed aircraft that have a high fuel efficiency which will help us to reduce the cost of operations � as well as being environmentally important. Similarly, on some routes we are reducing the size of the aircraft used which will improve efficiency and also offer us the possibility to increase flight frequencies in the future maybe. In addition, JAL�s sales at the moment are very strong and that will further help us improve our business. q: Some growth has been from code sharing with your oneworld alliance partners. Will this be a major strategy for further growth in the future? 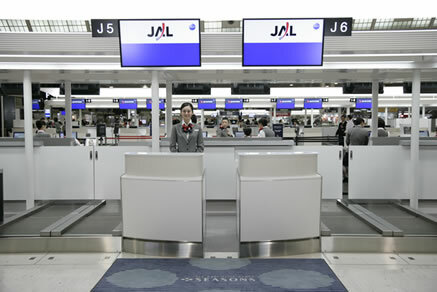 a: Being a member of the oneworld alliance is important to JAL � it enables our customers to get convenient connections to the domestic network at their destination. In London, for example, connecting to the British Airways network is very convenient for our passengers and it also enables them to collect mileage points for all of their journey. Code Sharing is a bilateral agreement so there is also the direct benefit to JAL of customers arriving in Japan transferring to our domestic network. Whilst Code Sharing is important, our main business is, and will remain, operating our own network. We are currently restructuring it and focusing our resources mainly on the high-profit and high-growth routes. The London routes continue to be very important to us and one of the main growth areas is between Japan and China. q: Will the UK remain an important destination in your strategic planning? a: Yes. JAL has been flying to the UK for over 45 years � since 1961, in fact. We fly twice daily between Japan and London and the UK remains extremely important to our European operations � some 30% of our European revenue is from the UK. The UK remains an attractive place for Japanese companies to do business and invest. As an example of how important we consider the UK, we introduced our new Premium Economy offering on the Tokyo � London route. This has always been the case � when we upgraded our cabin service some years ago we also did that on the London route. q: The UK CAA has just announced a hike in the fees for using Heathrow and Gatwick � more than 20% - will that affect JAL particularly? a: Of course, airport costs are very important and have a very real effect on our business. We will have no choice but to overcome such increases in costs � the costs in Japan are also high. They will no doubt affect such as the leisure market quite significantly. The problem arises when there is a cheaper alternative available, but we will have to overcome this challenge here. q: How do you see air travel changing in the short- and medium-term? a: We expect that demand for air travel will continue to increase. In Asia particularly, we see strong growth both now and into the future. Our Asia � Europe traffic is important, but Asia is our main area of activity as we are Asia�s largest Carrier � and we see that continuing to increase significantly. There are about 17 million passengers travelling internationally from Japan each year which is around 15% of the population. This is not as high as in other countries so I also think there is room to expand that part of our market too. Of course, our population is reducing in size and also ageing, so the only slight concern is that this might affect things in the future, but we do not really expect any significant change even in the long-term. The Yokoso! Japan programme from our Government has been very successful in attracting visitors from other countries � particularly in China and Asia. Last year there was a growth rate of some 14% as a result of this programme. q: Airports both in Japan and the UK are increasing capacity. Is this the right thing to be doing now � with environmental and business factors in mind? a: Airport expansion is always made as a result of projected future demand. Air travel is very popular for both business and leisure, as well as freight. 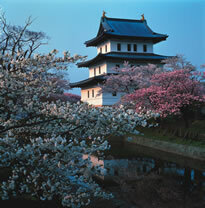 Japan is the third largest economy in the world and there is still a huge potential for growth. To satisfy this, airport expansion is critical. Environmental issues must be taken into account in conjunction with the expansion and we are introducing more efficient aircraft, increasing efficiency, making better environmentally-friendly buildings, recycling etc. to take this into account. q: Air travel is often cited as a major issue in environmental considerations. Whilst it is important, it is not as significant as the press would make out. However, what is JAL doing with regard to environmental improvements? a: I have already mentioned the introduction of new more efficient aircraft and making routes more efficient in terms of passengers carried as well as the development of our on-ground approach. We have actually been working on this for over 15 years already � back in 1990 we stated that we would reduce fuel consumption by 20% before 2010 and this clearly has a huge impact on our carbon footprint in terms of CO2. Originally, the only way to fly long-haul was to use larger aircraft such as the Boeing 747, but with the introduction of mid-sized aircraft such as the 787, it will enable us to develop different markets and to become more efficient with a positive environmental impact. We currently have some 272 aircraft of which 78 (over a quarter) are less than five years old. We have withdrawn many of the older less-efficient aircraft such as the Airbus A300 and MD87 and we have a further 86 aircraft on order. These include the Boeing 787 which I have already mentioned and the Embraer 170 which will be used mainly on domestic routes. We are not only focusing on the big issues such as aircraft, but also on small ones. For example, we are looking at reducing the weight of spoons used in our catering by 2g and replacing the crockery with some that is 20% lighter. More significant is the weight of cargo containers � we are changing to lighter ones that save some 26kg per unit. If we can reduce just one kilo of weight on, for example, a 777-300ER aircraft flying from Japan to Europe, we can cut fuel consumption by around 0.4kg so that means a saving of over 10kg of fuel per container with this initiative alone. Our pilots are also being trained in simulators in order to facilitate an improvement in our fuel efficiency and we are also doing many things landside in terms of recycling, energy use etc. This includes reducing the use of air conditioning at our Head Office � so all our staff can work with no jackets or neck ties in the hot summers. q: What do you notice about the business and social environment in the UK? a: Coming to London is a great pleasure for me. There are some common points between Japan and the UK and some differences, of course. For business, many of our customers are Japanese, but there are also many UK and European customers. Japanese people are generally much more focused on details � both in business and in their everyday lives. They are also very concerned about other people�s view � particularly those of other Japanese people. Non-Japanese people are more �individual� in their outlook. Because of that, decisions are often made more quickly which has both positive and not-so-positive results. I deal with Europe in total and of course there are differences between the UK and mainland Europe. However, there are many common points between the UK and Japan. Both nations are located at the end of their continents � the UK at the western end of Europe and Japan at the eastern end of Asia. We both have our own very individual and strong cultures, but have also been influenced by the neighbouring continents. In Japan, like the UK, we value our traditions and values very much so we are both very polite and courteous. On the other hand, I was surprised when I first walked in Oxford Street in London. I had never experienced such a �universal street� before � not even in the United States. There is a mix of people from almost every culture and country walking there every day. The same is true of Heathrow of course � a big difference from Narita where it is mostly Asian people. I realise that this is a very key issue for us as a Japanese company � it is important for our future business development. We should make our society in Japan more �universal� and encourage people to visit us more � through such programmes as Yokoso! Japan, for example. 0845-7 747 700 (English Language: Reservations & Information).